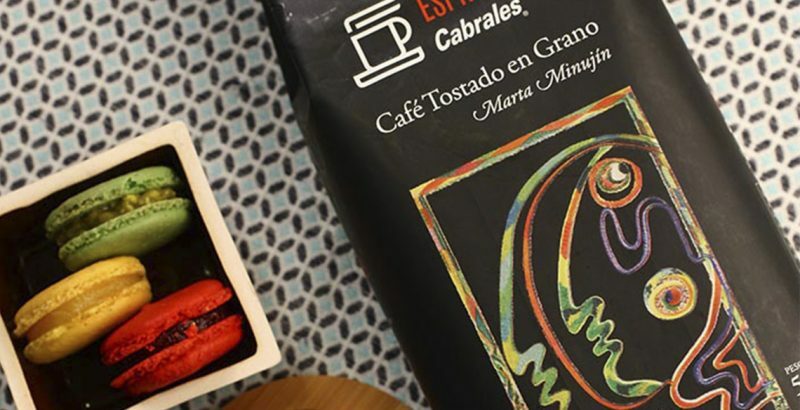 Cabrales, the leading company in high quality coffee, still brings different artistic expressions and launches intervened packs by the prestigious avant-garde plastic artist, Marta Minujín. This new presentation of Roasted Ground Coffee (white Packaging) and Roasted Bean Coffee (black Packaging), both of 500 grs, contains a Premium Blend, unique on the market. This blend is a mixture of Arabic beans, selected and roasted in the exact grinding. One of the finest coffees, this blend spreads out its strong character and his intense persistent body in the palate. All these meticulous care; such as certificated production process and packaging (it includes valve of oxygen control), lead us to guaranteeing a useful life of 360 days for this distinguished product. These new products will be available for sale at Cabrales’ stores in Buenos Aires, La Plata, Mar del Plata, Cabrales Online, and at every supermarket of the country.